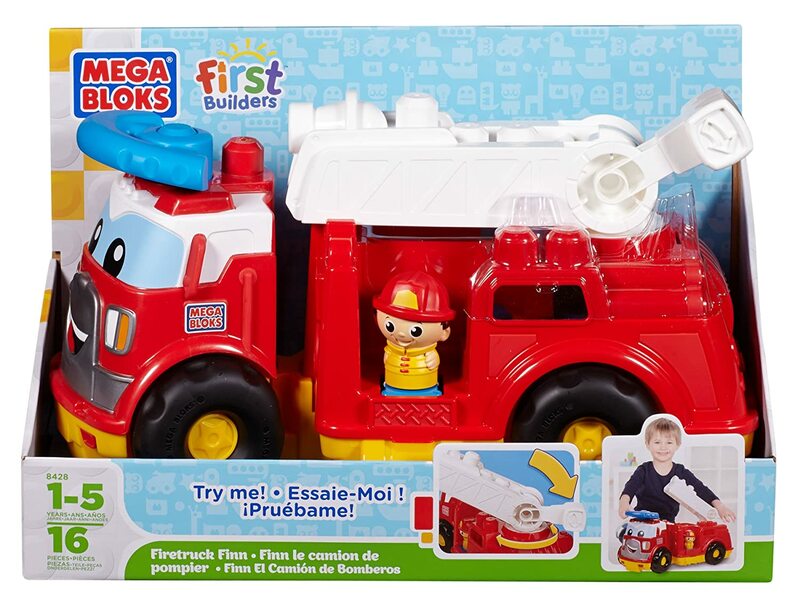 Your little firefighter had better hold on to his fireman's hat as he takes the wheel and steers to the rescue with Firetruck Finn from Mega Bloks First Builders. Kids can take hold of Firetruck Finn's steering wheel and hit the streets, turning his cab to round corners and weave through traffic to get Finn and his Block Buddies Fireman to the scene of any emergency. Lift the Fireman up to the ladder, sit him in the cockpit and then raise and swivel to the top. 13 First Builders blocks are included and fit inside Firetruck Finn to help rebuild big bridges, tall towers and buildings to rescue other Block Buddies from all kinds of trouble. Ideal for children aged 1 to 5. Firetruck Finn has a super fun swivel and pivot ladder to facilitate putting out fires. You child can steer Finn to the rescue with the help of his fireman figurine friend as well as build and store its included blocks in the back of the truck! 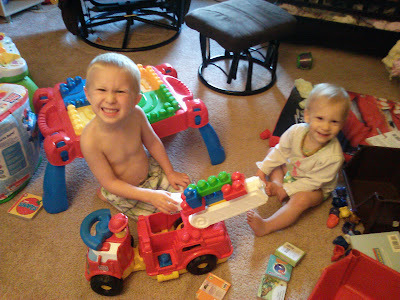 My son and daughter loved adding this fire truck to their Mega Bloks collection! They love making a big tower off the ladder and they love the little firefighter guy! I love that all the Mega Bloks work interchangeably with all the Mega Bloks toys including the table we currently have! This is a great item to add to any builder's collection and I love that even children as young as 1 can build with these!